Why people love Android, more than other phones? The main reason behind it, is the reasonable price of Android Phones and the variety of free and paid application. An application is a thing that entertains us and helps us to improve productivity and working skills. An application addict person always loves to try different application for testing purpose or for entertainment. If you are one of them, then you sure know about the misbehave of an App. There is no application, which is 100% error free. 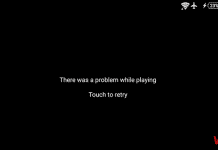 That is the main reason behind application hanging and crashing many times. When a software not respond in our computer, we usually use Ctrl+Alt+Del to open Task Manager to forcefully stop that app. In your Android, you can also do the same thing to permanently close an App, but the procedure is a little bit different. 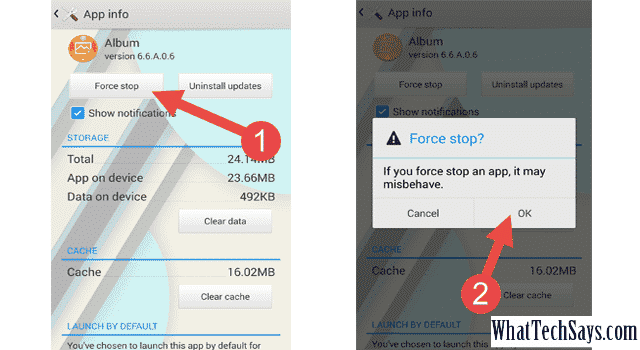 Let’s know how to close an app on android forcefully. Close Android app is a very easy process. If the application has a close/quit option the you can close that app by pressing that button, or you can close it by clearing it from the current app list. 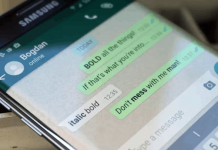 If one application is running in the background, like WhatsApp, Messenger, then the above procedure will not work. There is another process to force quit Android app. The procedure is given below. 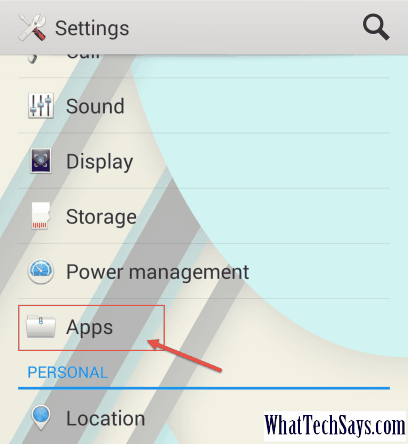 1) Open Settings of your Android device and navigate to ‘Apps’. 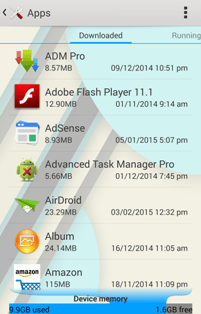 2) Here you’ll get a list of apps, which are already installed on your device. This list is arranged alphabetically. 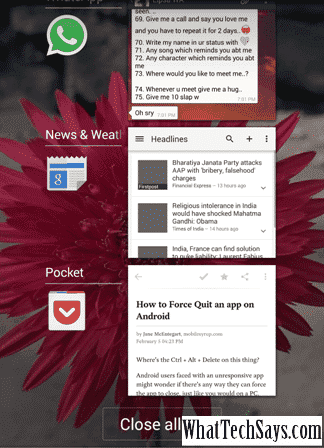 You can swipe from Left to Right to view different tab, like ‘Running’, ‘All’, ‘Disabled’, etc. 3) Click on one app, which you want to close. Now click on ‘Force Stop’ button. Ignore the warning pop-up and click on ‘OK’ button to force quit Android app. This process can help you to resolve application misbehave problem. Don’t try to stop system applications, it may cause a problem for you. After all, if that application is crashing, then try to ‘Clear cache’. 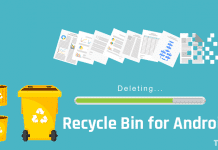 Don’t try to ‘Clear data’ unless you want to lose all information associated with that app.